One of the things I never expected to happen when I began this blog in December 2012 was that I would hear from so many victims, and perpetrators, and their families. I have corresponded with people whose family tree was forever altered by a crime from as long ago as the 1920s. I’ve found that most of the family members who contact me are seeking an open ear–someone who will listen and not judge. Often I am asked to provide information about a decades old incident and I gladly share my research notes. The internet has made it nearly impossible for families to keep secrets–someone doing a quick search of a popular genealogy site may discover a long forgotten crime involving a relative and seek answers. 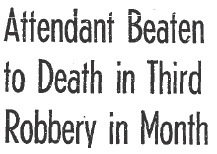 On June 2, 1970, Stephen Hurd, 20, and Arthur “Moose” Hulse, 16, and several of their companions, were involved in two back-to-back violent homicides. The first was the brutal hatchet slaying, by Hulse, of 20-year-old Jerry Wayne Carlin, a gas station attendant working the grave yard shift. Carlin left behind a young widow. He never had the chance to learn that his wife was pregnant. The next day 29-year-old Florence Nancy Brown, stepmother to four children, was car jacked at a freeway off-ramp by Hurd, Hulse and a few of their co-horts. She was taken to a field and stabbed over 20 times. Her body was buried in a shallow grave near Ortega Highway. 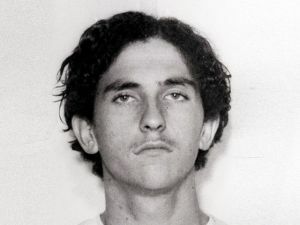 Hurd later revealed that he had returned to the make-shift burial site and mutilated Brown’s corpse by removing her heart which he then used in a Satanic ritual. Stephen Hurd died of a brain hemorrhage in prison nine years ago. Arthur Hulse is currently incarcerated at Vacaville, but apparently not for much longer unless Governor Brown vetoes his release. At a hearing on September 26, 2014, Hulse was granted parole and is scheduled to be cut loose in approximately 120 days. He was not supposed to have been eligible for parole until 2015. What the hell happened? There are individuals who deserve parole–they earn it by taking responsibility for their previous actions and by taking steps to become a productive member of society. Nothing that I have read about Arthur’s years in prison has suggested that he has done anything to make himself suitable for parole. I mentioned that I’ve heard from victims and families of violent crime and this morning I received email from Jerry Wayne Carlin’s widow. She is rightfully horrified that Arthur Craig Hulse will be paroled unless Governor Brown takes action within the next few weeks. I hope that her letter will move you, as it has me, to contact Governor Brown and ask him to veto Hulse’s parole. With her permission I am reprinting her email to me. I have withheld her current surname at her request. My name is Patricia ______. My first husband, Jerry Wayne Carlin was murdered on June 2, 1970. As you can imagine, my life was changed forever on that horrible night. I’m writing to let you know that Arthur Craig Hulse had a parole hearing on September 26, 2014 and was granted parole. I was notified by the District Attorney, Scott Simmons, of the impending hearing on September 22, 2014, when the DA’s office was notified. The parole hearing had been moved up one year without notice to the DA or myself. I was asked by the DA to write a letter to the parole board, which I did. It has been 44 years since Jerry’s murder. There has not been even one June 2, that I haven’t stopped and remember what happened on that horrible night. I gave birth to Jerry’s son, Jason, in 1971. All my son has left of his father is a 5″x7″ picture. When I was told of what happened to Jerry that night, I wanted to die. I took a overdose of every pill in the medicine cabinet but, by the grace of God, the police realized what I had done and got me to the hospital. I was told that I was pregnant. I knew I needed to be strong for my baby and for Jerry Wayne. I got on with my life and Jerry’s son grew and is now a Grandpa. Although life went on, always in the back of my mind, was the thought, that someday Steve Hurd and Arthur Hulse could be released. Hurd died in 2005. Now Hulse has been given a parole date. The Governor of California has the authority to overturn the parole board’s decision. He will review the case within 30 days and if the decision is not overturned, my worst fears will be realized, and this animal will be released in 120 days from September 26, 2014. I will be writing to the Governor to request he overturn this ruling. I have contacted the Orange County Register, because they have been following this case for more than 40 years. Incidentally they also were unaware of Hulse’s parole hearing. I do not know if they will publish an article about this person’s parole. This may be the last thing I can do for Jerry Wayne and his son. If you have any way of helping get the word out about this horrible decision, I would be so grateful. Life in prison should be just that. Is 44 years enough for hacking a innocent person to death? I will live the rest of my life, knowing what happened. There will be no parole for me or my son. Arthur Hulse should remain in prison for the rest of his life. I cannot even imagine the pain that Patricia and her son have endured over the years, and of course Jerry’s loss continues to be felt by Patricia’s grandchildren and great-grandchildren. It’s easy for you to contact Governor Brown via EMAIL. I suggest that you select “Have Comment’ for the purpose of your communication, and for topic “Parole-Governors Review”. Also select “Con” for your position on the pending parole. I hope you’ll join me in writing to Governor Brown, it will take only a few moments of your time but may result in years of peace for Patricia and her family. Below you will find the email I have sent to the Governor–feel free to cut and paste it. I am writing to urge you to veto the parole of Arthur Craig Hulse (#B33433) due to the heinous nature of his crimes. On June 2, 1970 he murdered 20-year-old gas station attendant Jerry Wayne Carlin with a hatchet and the next day he was an accessory to the car-jacking and stabbing of 29-year-old wife and mother Florence Nancy Brown. Mrs. Brown was stabbed at least 20 times and her body was mutilated postmortem. Hulse was denied parole in October 2012 because he was considered a danger if released and, additionally, he had never completed any drug or alcohol treatment program during his years of incarceration. In fact he was informed at his 2012 hearing that he would not be considered for release again until 2015. It is unclear why his parole hearing was moved up and it is a mystery how he became eligible for parole after such a short amount of time, particularly when he had done nothing to earn his release in the 44 years prior to his September 26, 2014 parole hearing. It would be an injustice to the victim’s families if he is paroled. Hulse also poses a possible danger to any community into which he may be released. I thank you for your consideration of this request. This entry was posted in 1970s, Homicide and tagged Arthur Craig Hulse, Florence Nancy Brown, Governor Brown, Jerry Wayne Carlin, Stephen Hurd by Deranged. Bookmark the permalink. Done! Thank you for bringing this to peoples attention, Ms Renner. I’ll try to spread the word as well, if I find that people are interested. Leave him in prison where he belongs if you want him out let him move into your house. Thank you for bringing this to our attention. I’ve gone ahead and emailed the Governor with your suggested letter. I pray that this helps the victims and their families. Are you still following Orange County cases? I am a prosecutor in central California. 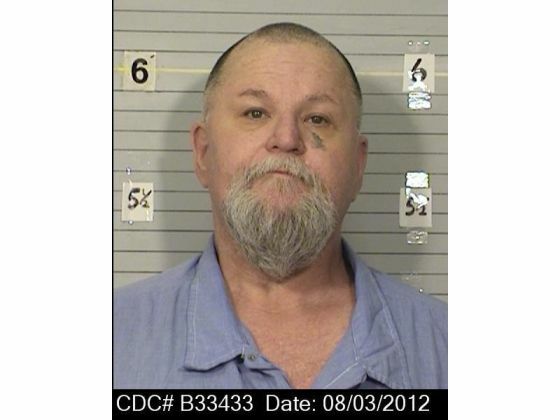 I have knowledge of a paroled murderer, James Marvin, who moved to Paso Robles after release from prison a few years ago, when the parole Board decided he was suitable. A couple years later, law enforcement investigated and confirmed he molested 3 children living in his new wife’s home. They were her grandkids and she apparently did not realize her paroled husband had never changed. He’s been returned to prison, but those children are permanently damaged…..
I’m still following the Orange County case through a friend. The killer was recently released on parole after over 40 years in prison. He appeared at his last two parole hearings in a wheel chair, yet a photo I was sent of him immediately following his release — no wheelchair. I sincerely hope he doesn’t re-offend, but I’m realistic. He has no skills and he has spent his entire adult life behind bars. It doesn’t bode well — just like the case you dealt with. No doubt the elderly parole program is a mixture of good intentions and the state’s desire to get out of the elder care business. For instance, a couple of Manson family members (Bobby Beausoleil and Leslie Van Houten) are up for parole in January 2019 — they’re aging out of the system. It’s mind-boggling and heart breaking, as I’m sure you know better than I given your occupation. Thanks for everything you do.